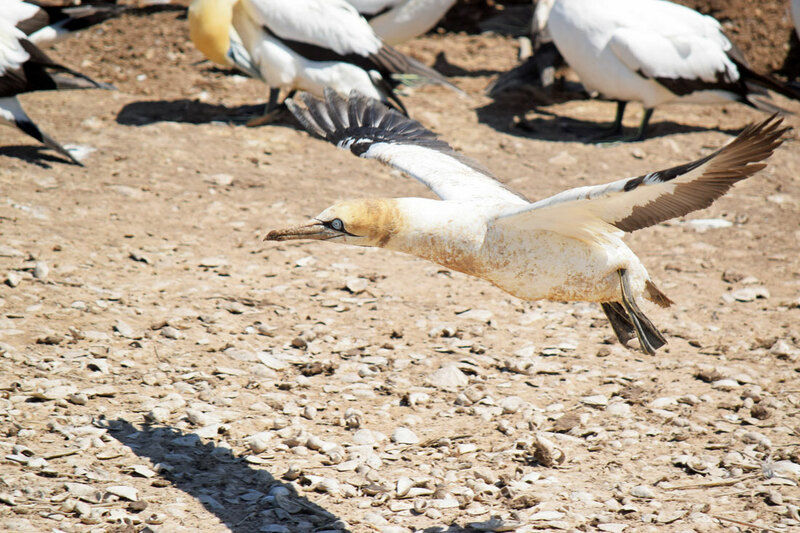 The excellent hide at the edge of the nesting area. 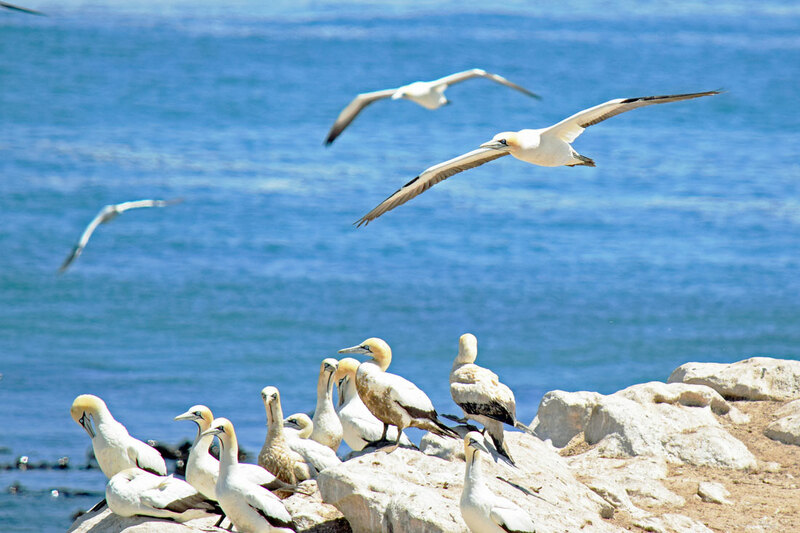 A very good vantage point for photography. 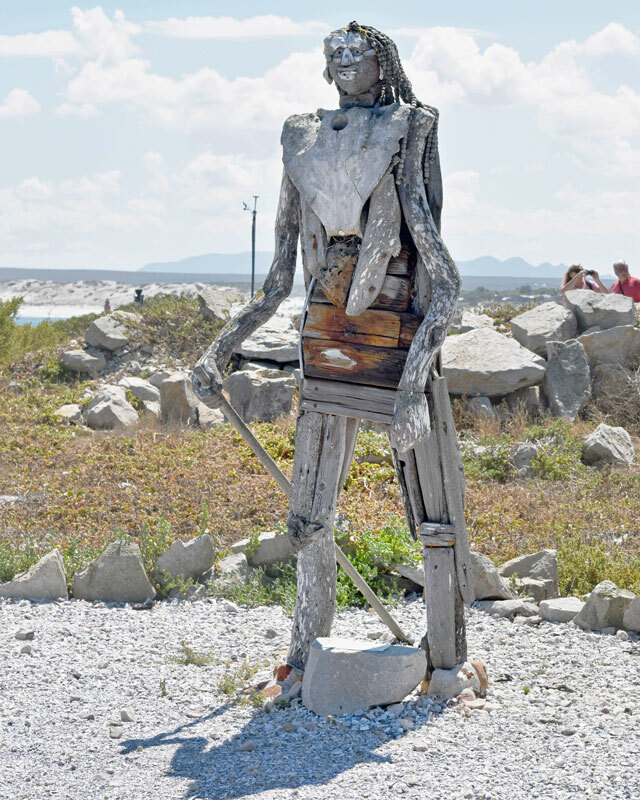 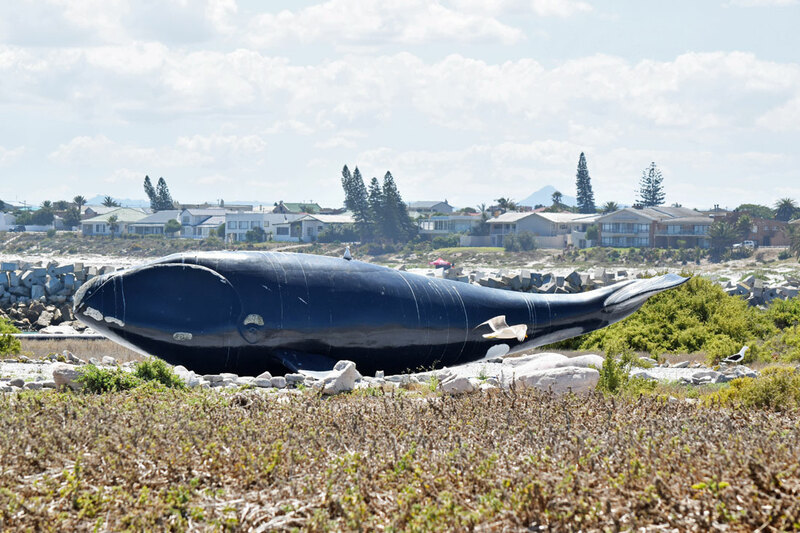 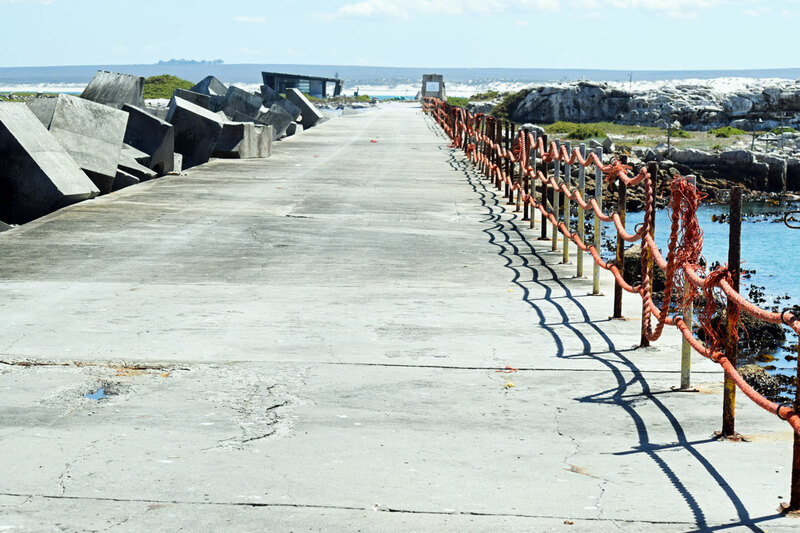 It is a two-level concrete structure, clad with fibreglass "rock". 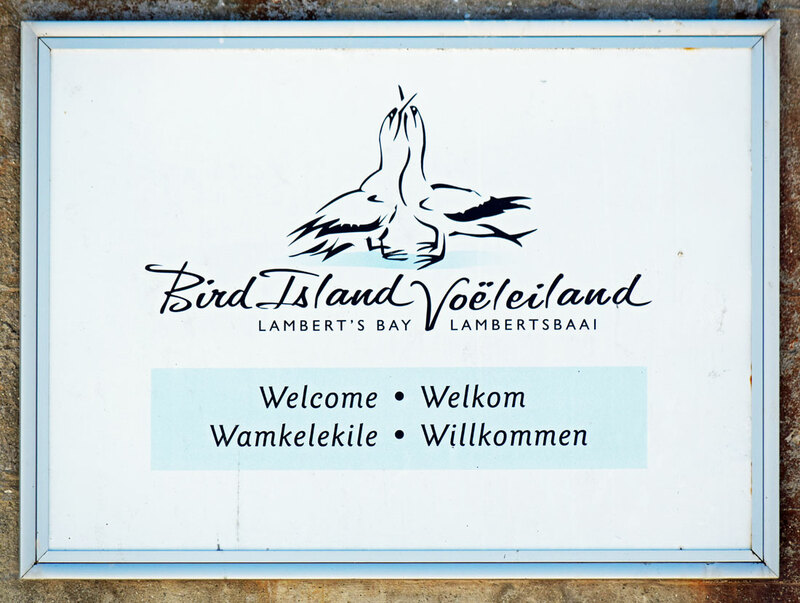 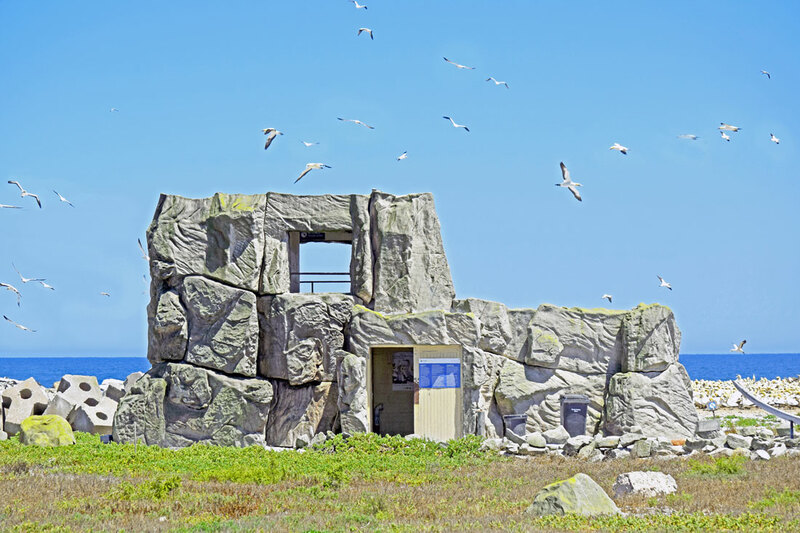 The pattern and colour of the artificial rock were carefully constructed to match the natural rock on the island, and the hide is probably one of the most architecturally important bird hides in the world. 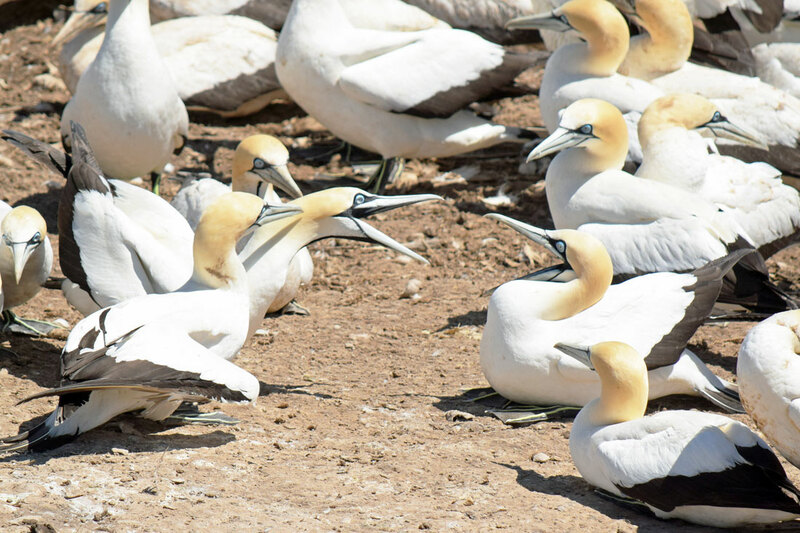 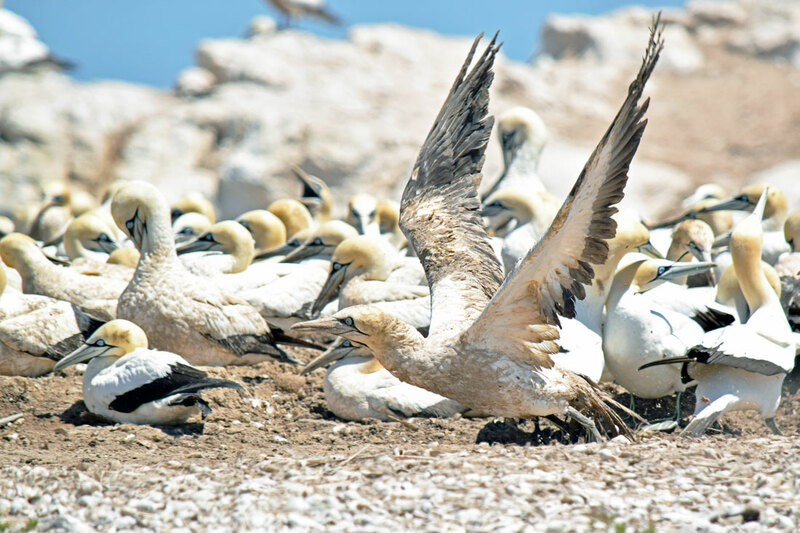 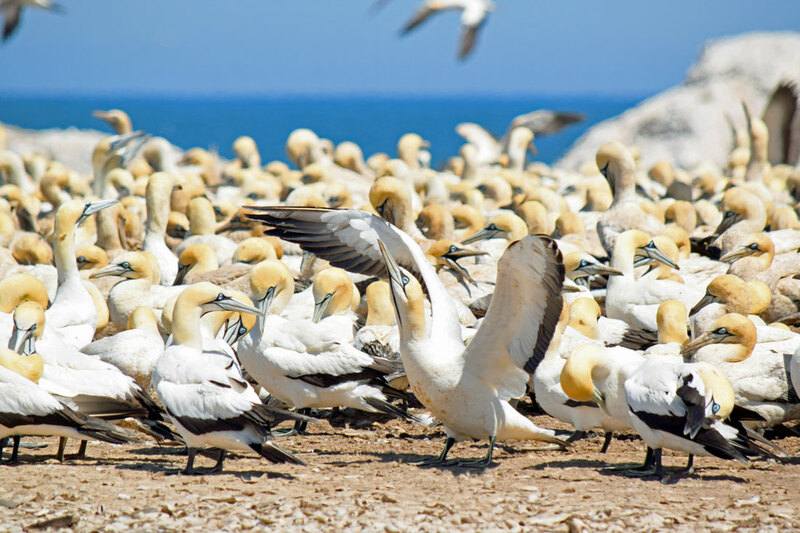 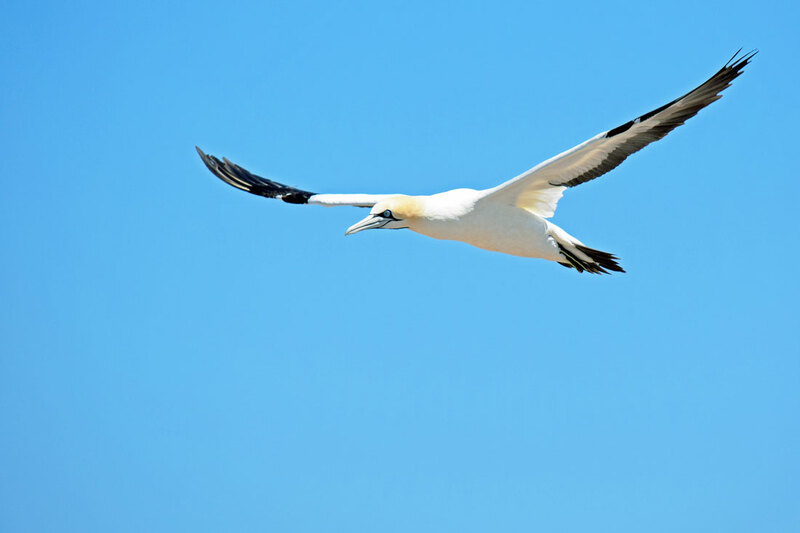 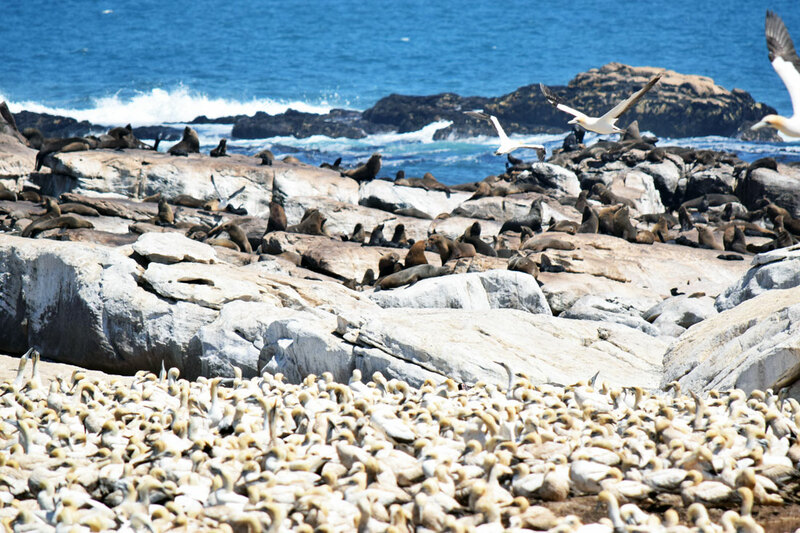 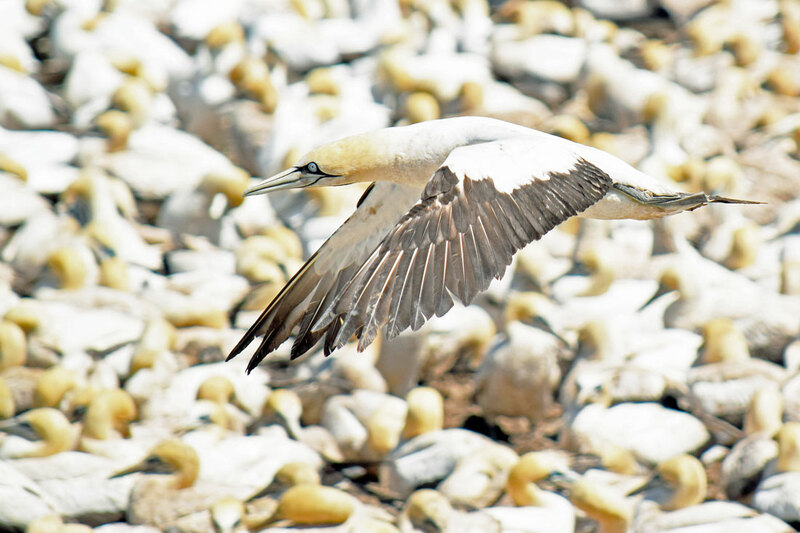 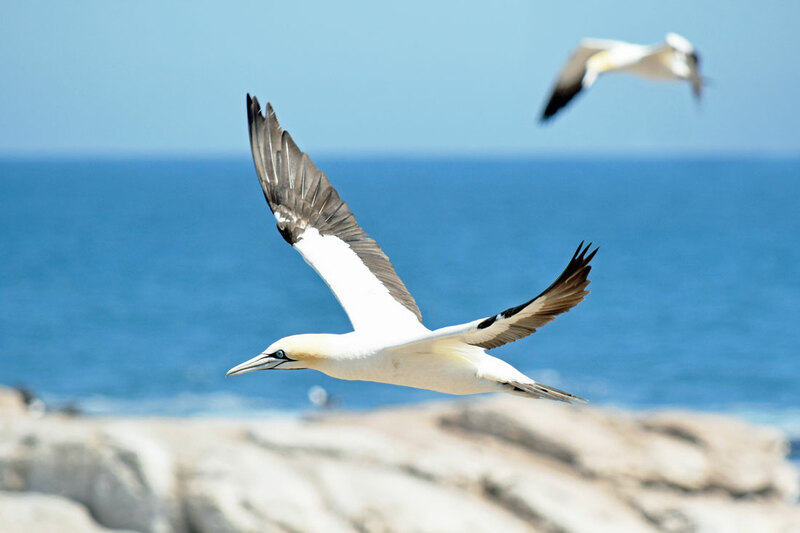 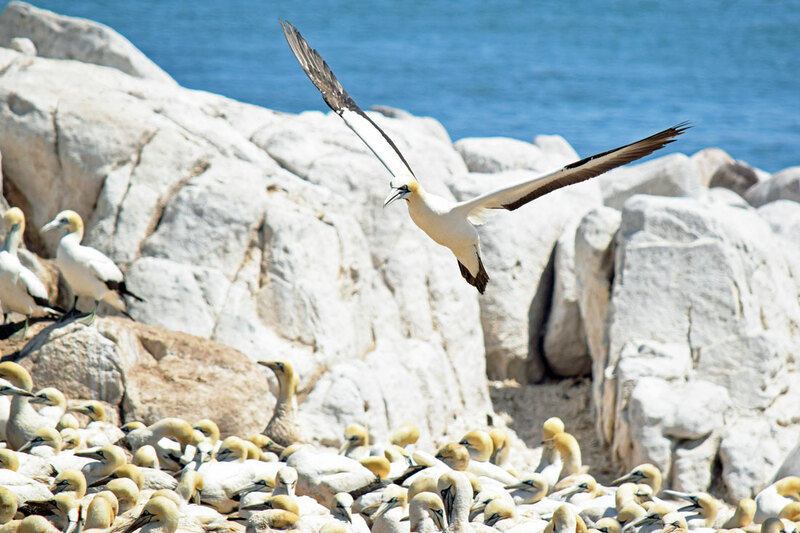 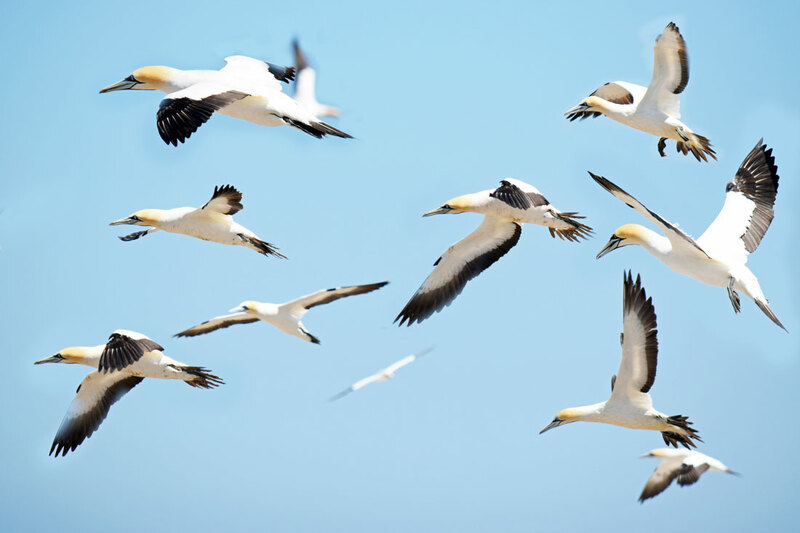 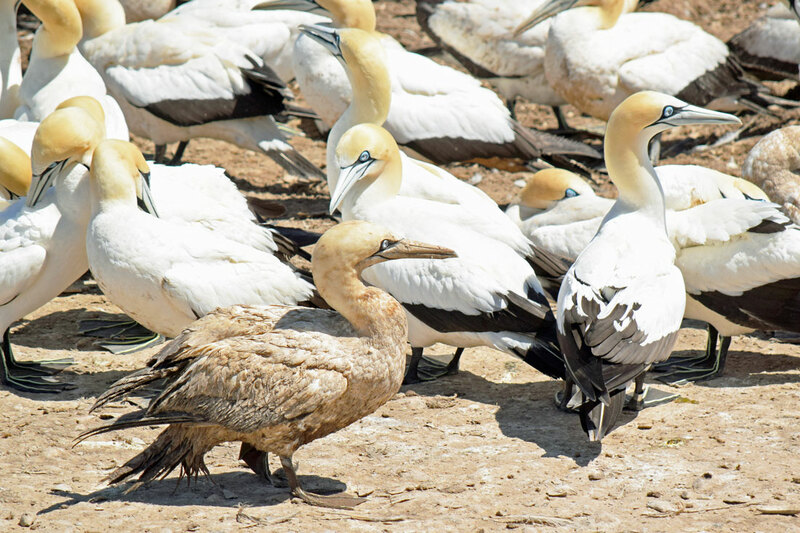 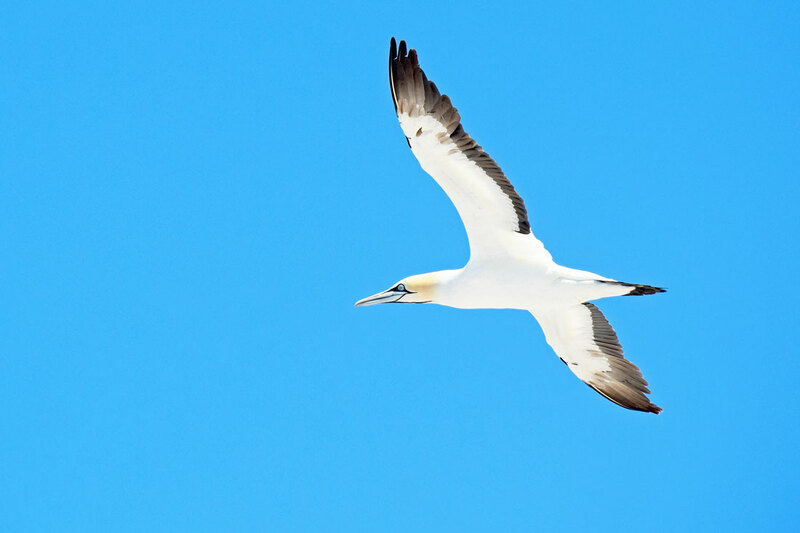 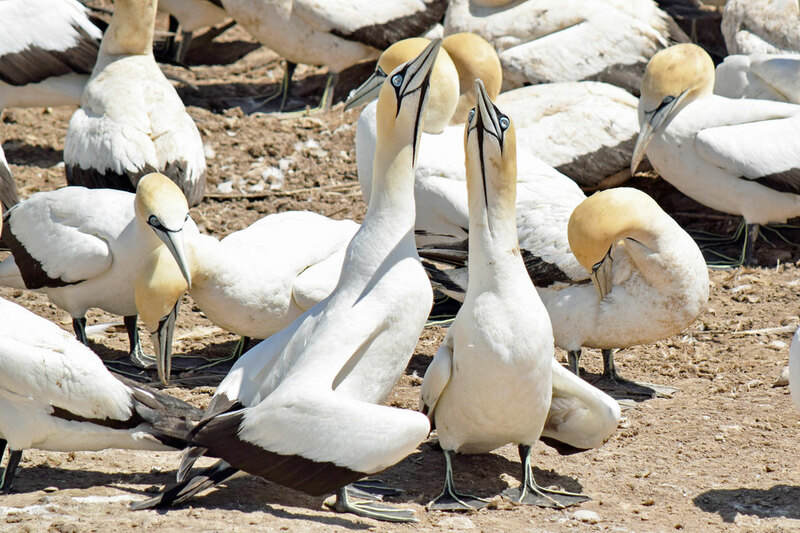 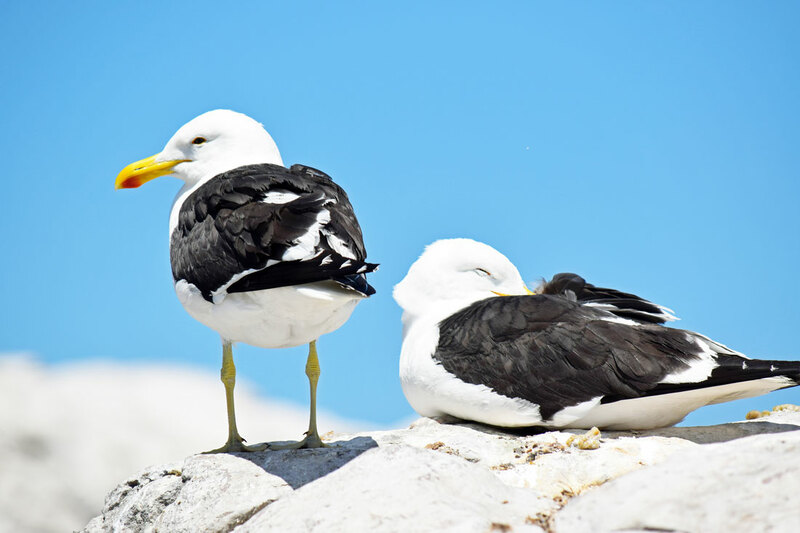 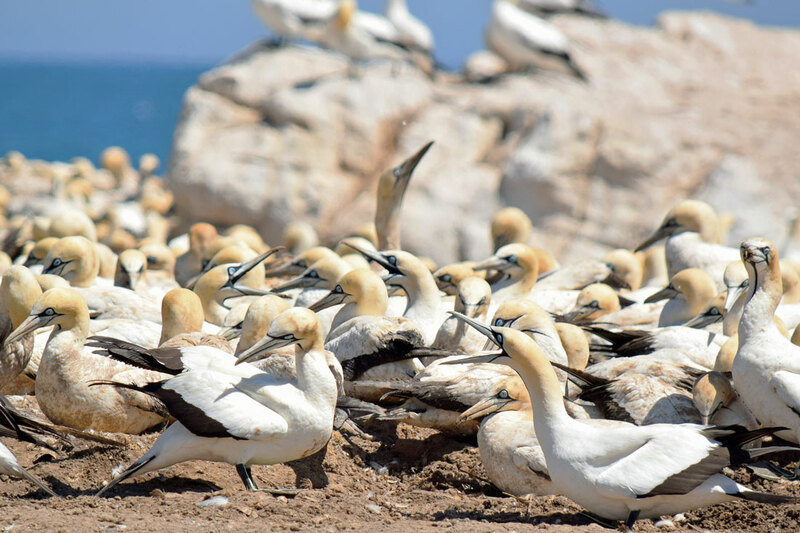 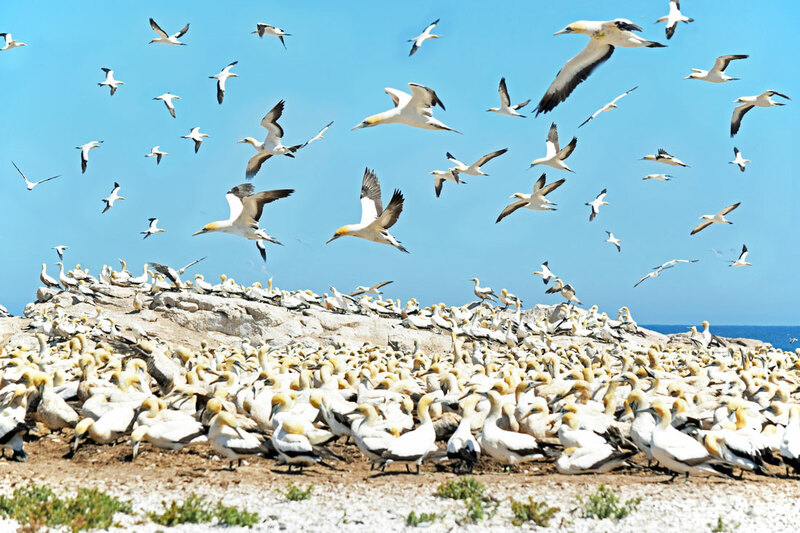 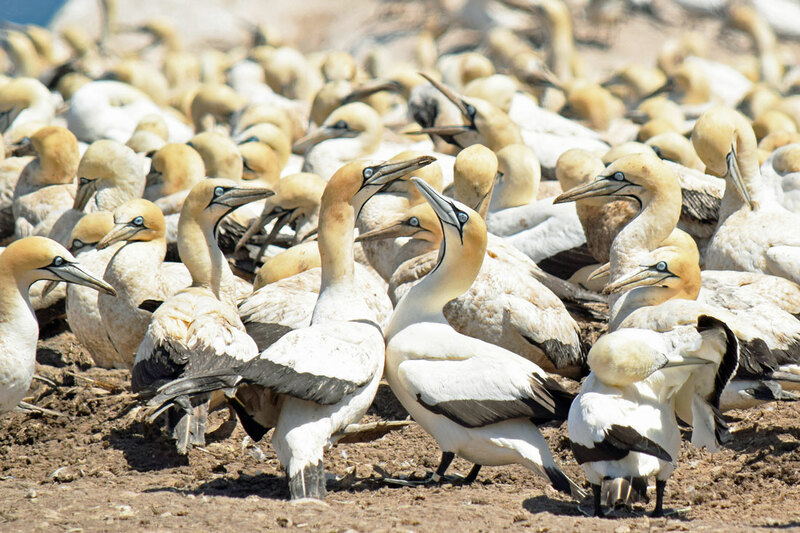 It provides extraordinarily good views of the Cape Gannet colony. 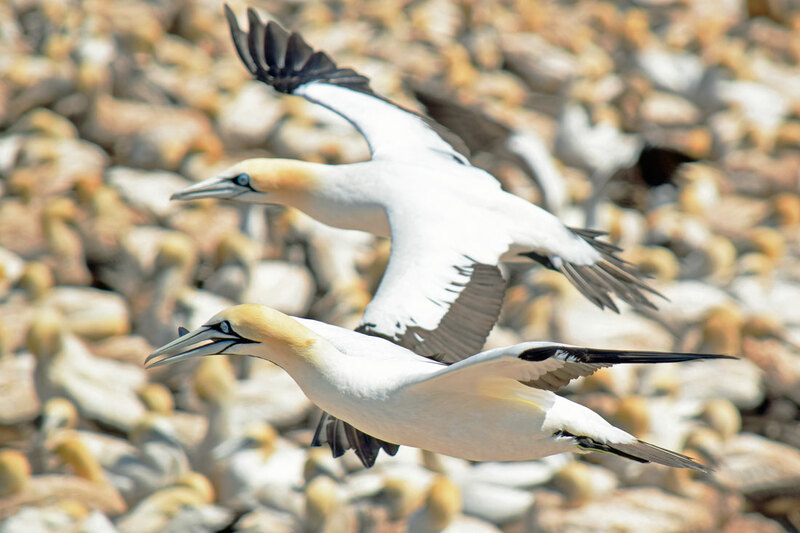 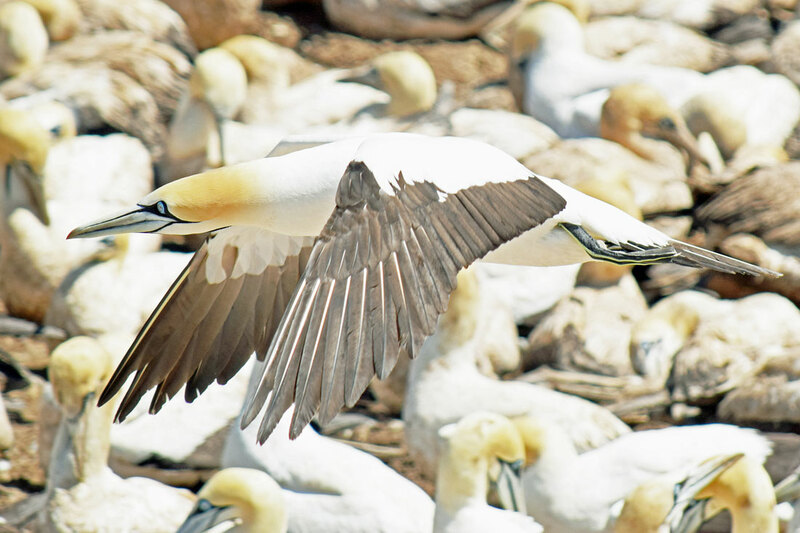 From the lower level, the gannets go about their daily business within a few metres of a huge window of one-way glass. 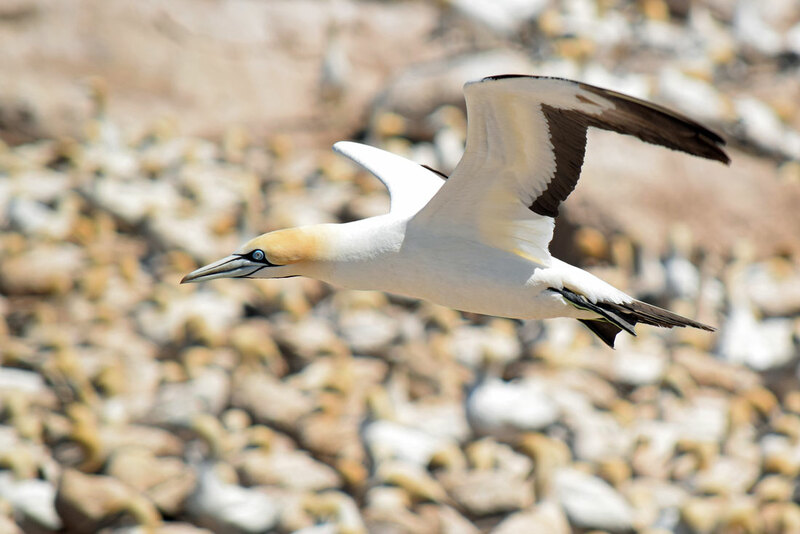 Upstairs is an open viewing platform which provides an overview of the colony, and where the cacophony of calling gannets is overwhelming. 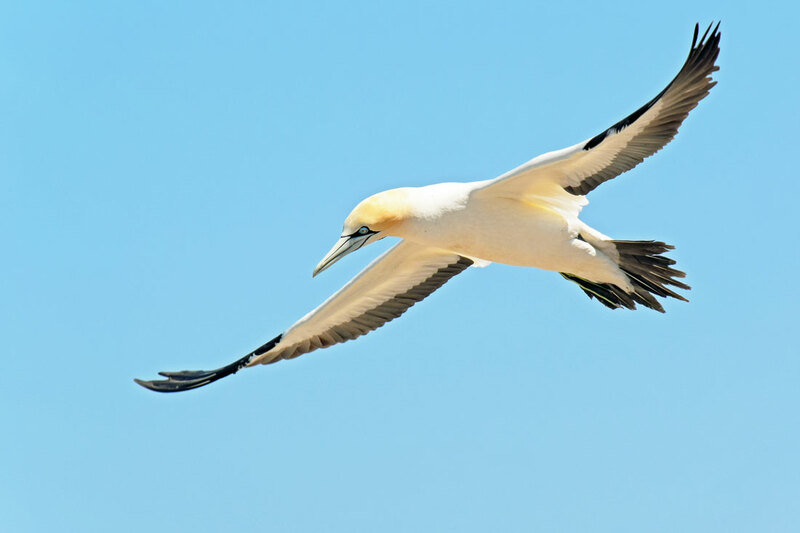 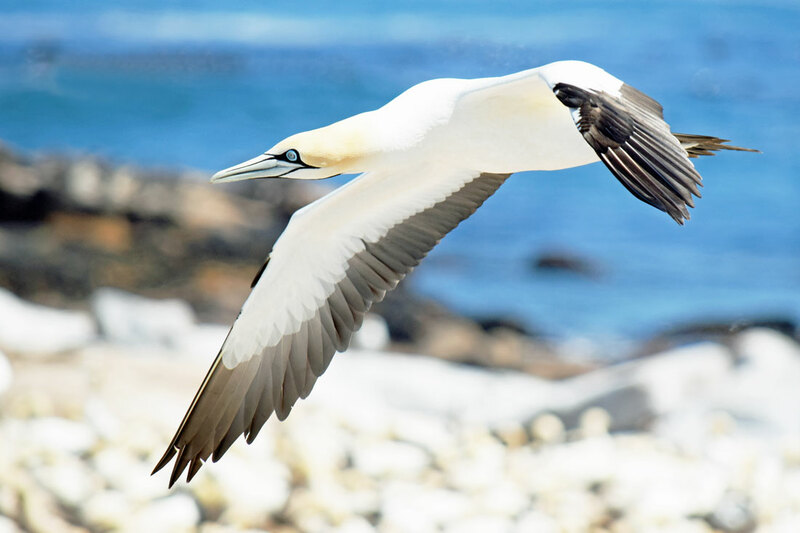 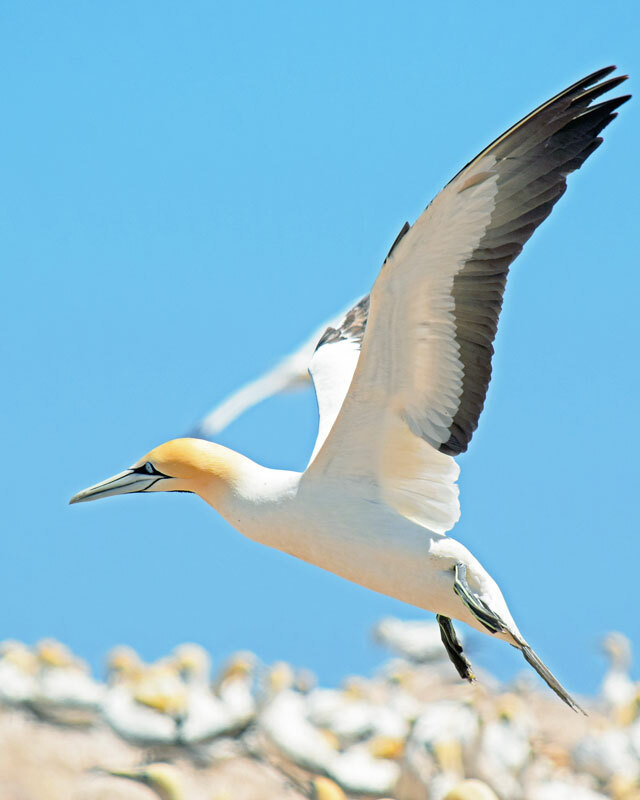 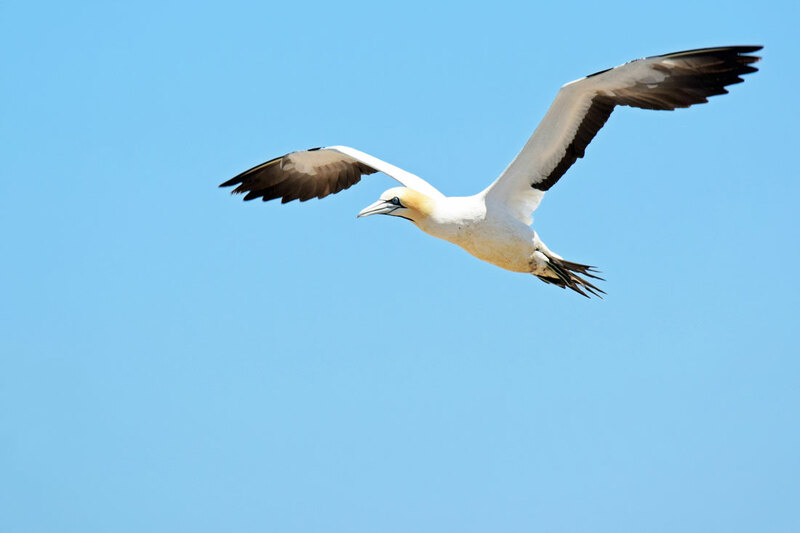 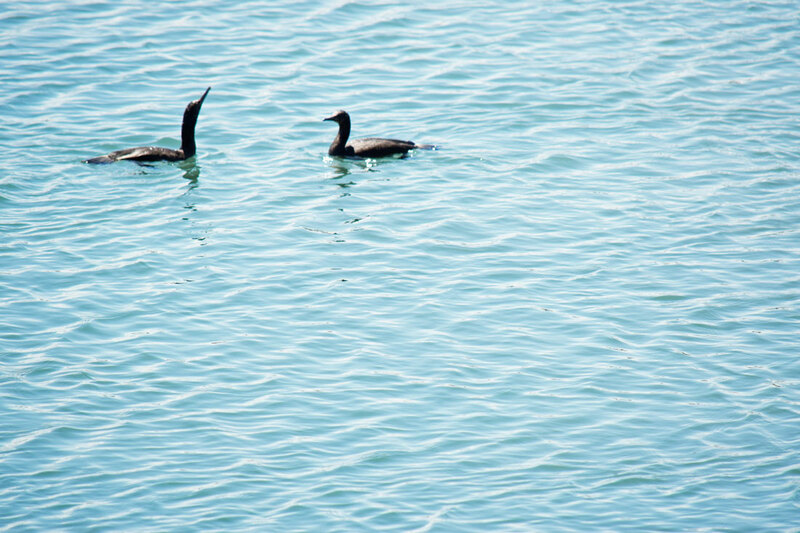 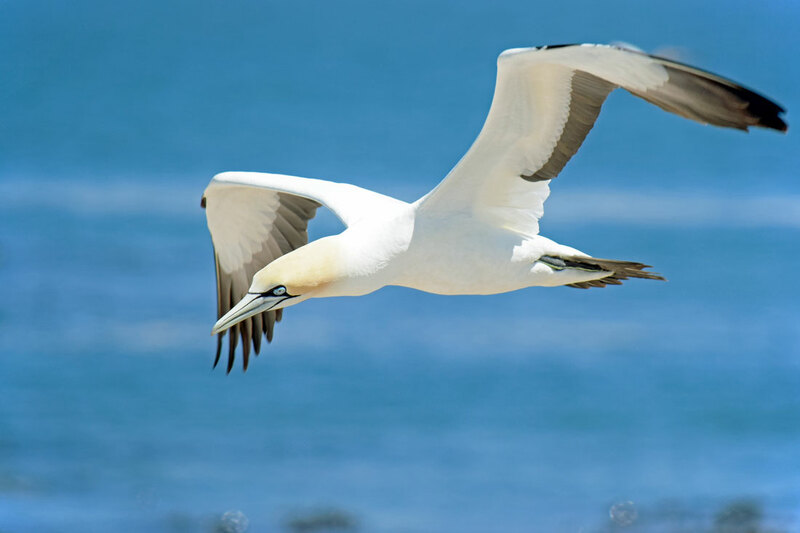 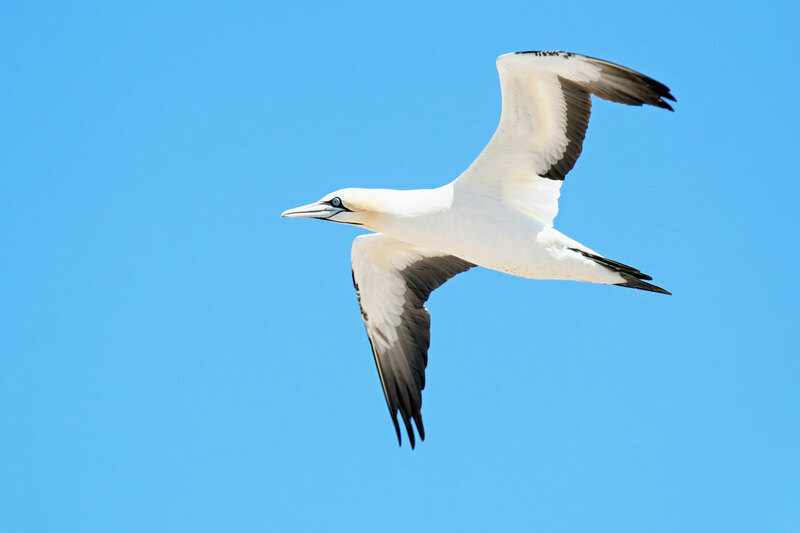 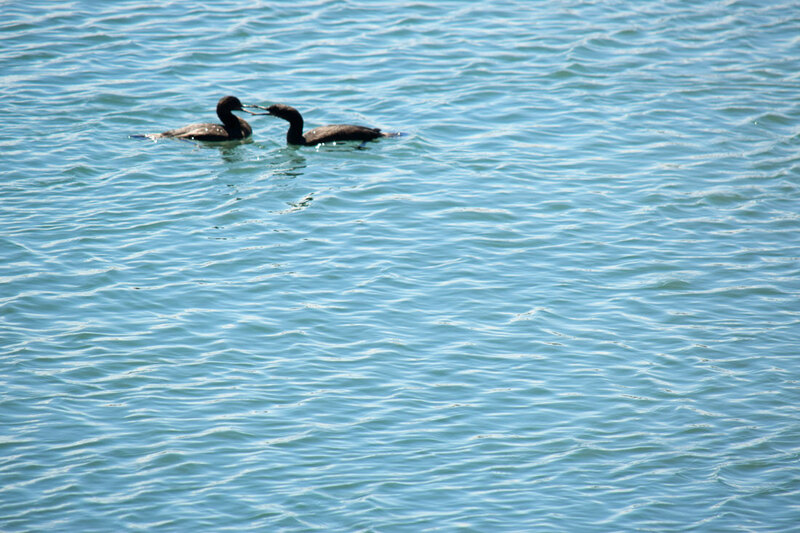 The gannets breed in spring and summer.